There's going to be a bunch of motorcyclists converging on Greenleaf State Park this June. 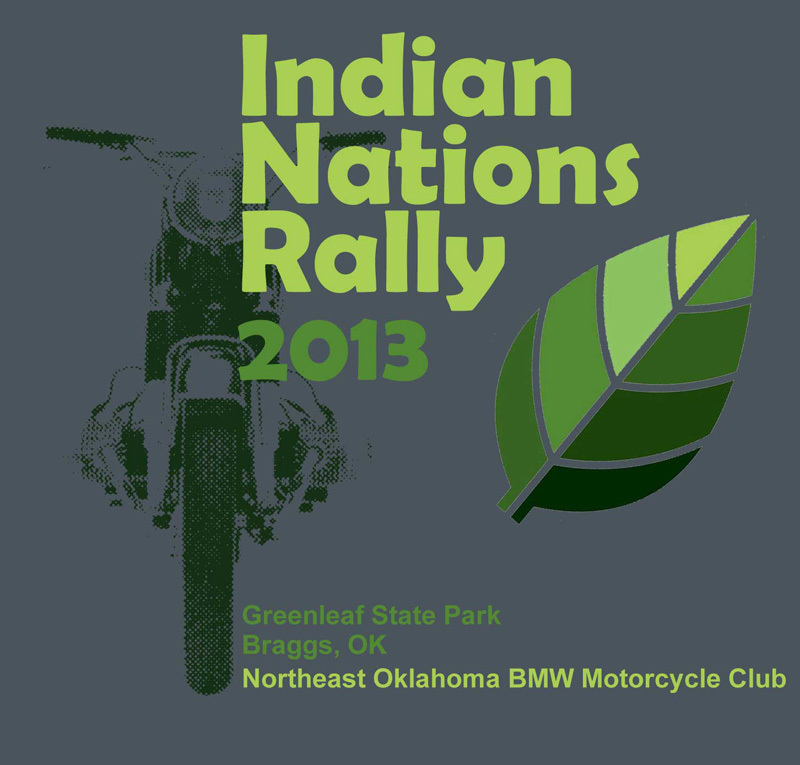 The event is called the Indian Nations Rally and it will be held June 7-9, 2013 at the Group Camp overlooking Greenleaf Lake. If you have seen our third show (Episode 3: OK-10) you might remember the park, and more specifically the Group Camp area and its WPA era lodge. The lodge will be the headquarters for the event. The rally will be a campout affair sponsored by our local BMW motorcycle club- but all motorcycles are welcome. Registration is $20 in advance, $30 on-site or a day pass is available for only $10. Registration includes a pancake breakfast on Saturday and 10 door prize tickets. I am told the door prizes are pretty special. Plans call for self-guided tours of scenic roads in the area, off-road riding at the Gruber O.R.V. area and a bike show. There will also be a guide to area historic sites. Evening festivities will include dinner each night (five bucks extra) and entertainment on Saturday. Most of this crowd goes for camping in tents. In fact there is an entire cottage industry devoted to the fine art of motorcycle camping. You can kit yourself out with an ultra portable camp chair, monsoon-proof bags and a table that attaches to your luggage rack. Or, if you prefer "indoor" camping, you can opt for the dorm-style accommodations for a small fee and enjoy a bed and air conditioner. 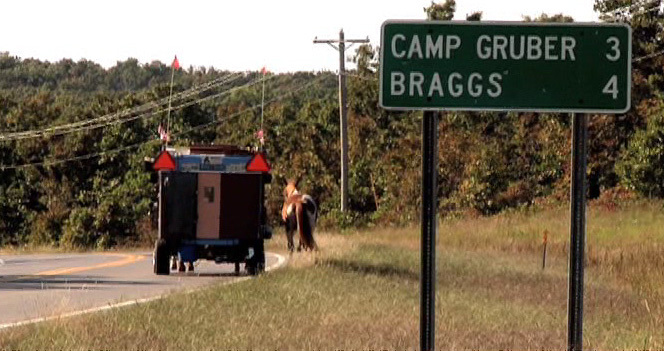 There is also a campground with RV slots in the adjacent state park. Brad and I are really looking forward to this event. It's been 19 years since this event was held and we're proud to be involved in making it happen again. Advance registration saves you ten bucks and reserves a limited run event t-shirt! For more information visit the Northeast Oklahoma BMW Club website at www.neobmwclub.com.